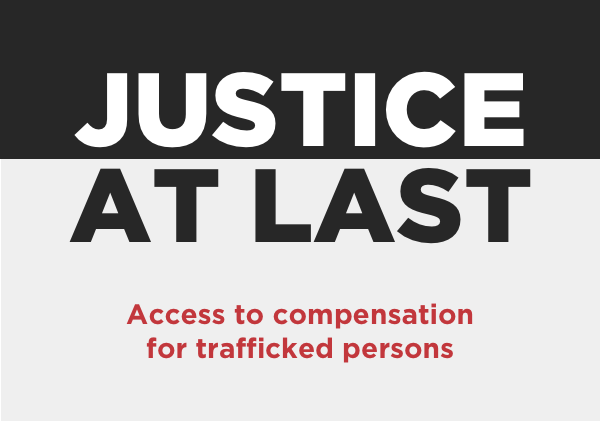 Obstacles to accessing and obtaining compensation include a lack of awareness among police and the judicial system, lack of access to legal aid and adequate information for victims, and the postponement of trials and long duration of criminal and civil proceedings. Another obstacle, in the case of foreign victims, is the return or deportation to their country of origin before a verdict is reached. Even when compensation has been ordered, barriers exist that leave victims without payment. These barriers include that victims rarely have the means to ensure the compensation order is enforced. But also that the perpetrators are not found, are not prosecuted, have moved their assets abroad, or have declared themselves bankrupt to avoid confiscation of their assets and having to pay compensation. Access to State compensation funds may be hindered as well, for instance due to a lack of residence status, lack of information, lack of means, and lack of access to legal aid. In short, many barriers prevent victims from claiming and obtaining their rights, including the right to compensation. For more news, visit the Facebookpage of this project.